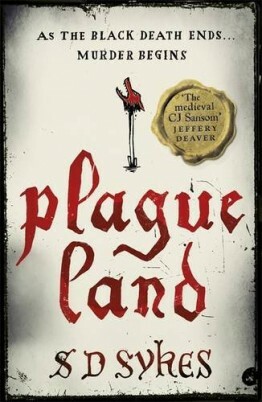 The 25th September marks the one year anniversary since my debut novel Plague Land was published. So, how has the last year been? What’s it like being a published author, and what, if anything, have I learned about the job? Much has been written on this subject by other authors, so I’m going to concentrate on how I’ve survived emotionally with this rollercoaster. I’ll start with the emotional highs. The launch party for Plague Land was an obvious one. Here’s a picture of me with my old school friends, proudly clutching my book. I look happy, don’t I? And you can probably tell that I was also rather drunk. And why not? It was exciting. The end of one long, long journey and the start of a new one. I loved that night. It was very special. Another high was being reviewed in the national press. I’ve had some great reviews, including ones from the Independent and The New York Times. Another was signing an option deal. I sat in the smart West End offices of a well-known production company, discussing how my books would work on the small screen. We even had a casting discussion. For me, this was the stuff of dreams. Okay, enough boasting. We now come onto the lows. After the initial excitement of any book launch, there is soon a lull. Sooner than you’d expect. The circus quickly moves on, and you have to start peddling again madly to keep up. During this time you realize that you have to do most the promotion for your book yourself. As an introvert, this is something of a scary leap into the dark. But you grit your teeth and get on with it, because you want your book to be a success. But circumstances are not always helping you to come up with a string of eye-catching & newsworthy things to shout about. You don’t win any prizes, you don’t get picked for the Richard and Judy book club, and then somebody blithely tells you that only one in two hundred optioned books ever get made into a TV drama or film. Reality starts to bite. From these highs and lows, you have to find a middle track. A way to save your emotional energy for the stuff that really matters i.e writing your next book. It’s expected within a year and there’s no time to mess about. So this is my advice on how to keep working and remain sane. 1: Write every day. This discipline and routine helps to focus the mind on the job in hand. You love writing. It’s why you chose this mad career. But it’s all too easy to get used up emotionally with the publicity, social media, and all the attendant flimflam. 2: Learn to deal with feedback – good and bad. Personally, I always read newspaper, magazine and blogger reviews, because they’re written by measured and experienced reviewers. If one of them says something bizarre then you can allow yourself to dismiss it. If enough of them say the same thing, then you have to take notice. Not everybody will like your book, and you learn to accept that. But you also have to protect yourself from the worst examples of feedback. This stuff hurts. We are human, after all. For example, I never look at Amazon or Goodreads. I’m enormously grateful that readers take the time and effort to discuss and review my books, but I don’t think these forums are a healthy place for me to hang out. This isn’t cowardice exactly, it’s practical advice. In my opinion these forums exist for readers to speak to other readers, not for readers to communicate with writers. I know I’m in the minority of authors here. A lot of writers do look. But I’ve seen the emotional upset that the vicious one star reviews can cause. That variety of upset could knock a writer off course for days (it would for me, anyway) – and you don’t have days to waste. Did I mention that you’re trying to write a second book? Sorry, but you are. 3: Professional jealousy. An awkward subject. Some writers will protest that this doesn’t exist, and perhaps it doesn’t for them. I’m going to be honest here. I’m not immune. For me it goes something like this. A particular book is getting a lot attention, so you buy this book to see what all the fuss is about. But after reading it, you just don’t get it. Your novel is much better, so why isn’t it getting the same attention? You end up feeling a bit put out. To be honest, you’re plain, old-fashioned jealous. This doesn’t make you a bad person. Once again, it just means you’re human. So what do you do? You go for a long walk. You have a stiff drink or watch a favourite film. You get over it, and get back to your own work. The feeling subsides. That’s life. You might not like the book in question, but plenty of other people do. 4: Jealousy again. Sorry. You read another book, but this time it’s so good, that it makes you want to give up. You will never be able to write a book like this. So how do you cope with this hopelessness? Once again, you go for a long walk, have a stiff drink or watch a favourite film. You get over it and get back to your own work. This brilliant book has inspired you. It makes you raise your game. 5: You get a lot of invites, and you soon learn which ones to accept. For example, I’ve really enjoyed talking at festivals and libraries, but personally I find book clubs too intense. You go into somebody’s home, sit in the midst of a group of readers and proceed to inhibit their ability to talk honestly about your book. I know some writers love them, but they’re not for me. As I say, you learn what suits you, and what doesn’t. 6: You learn to be careful with social media, particularly Twitter. It can be a wonderful place to meet other writers, bloggers and readers. But it can also be a monumental waste of time. You’ve spent all morning arguing about Nigel Farage or the best film ever, and in the meantime you’ve only written two hundred words of your novel. Not only do you feel bad about this useless word count (did I mention that you’re trying to write a second novel?) Now you also feel emotionally wound up. How can people not agree with your heartfelt opinions? What’s wrong with them? Divert this energy into writing your next book and express your politics, sense of humour and view of the world through your writing. It’s better in a novel, believe me. 7: Avoid the dementors – i.e the people who drain your energy and confidence. My worst (or perhaps best) example of this was agreeing to go on a walk with a woman I hardly knew, who wanted to talk to me about writing. I thought it would be interesting and fun. (I should mention here that it’s good to take regular exercise. It normally helps to get things into perspective.) This time it didn’t, however. Turns out that my fellow walker had sent a book a year to my agent, every year, for the last ten years. She couldn’t punish him personally for not signing her, so boy did I get it! Two hours of it. Next time she asked, I wasn’t free. 8: Learn to cope with your family’s disappointment at your lack of international stardom. The following comments are not jokes. 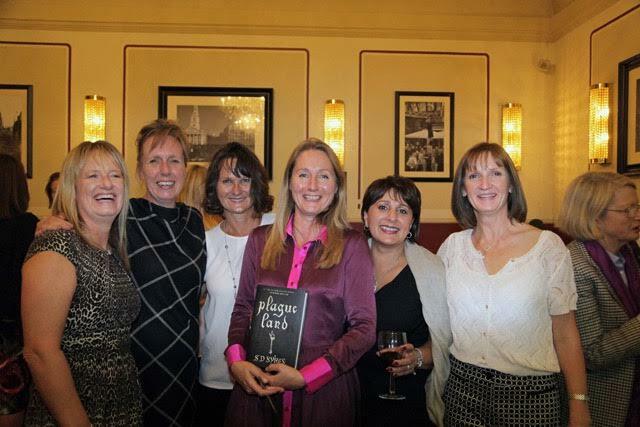 They are genuine questions that I was asked by members of my family after the launch of Plague Land. ‘Will you be travelling between book signings in a helicopter?’ Or, ‘I’m surprised that your book launch wasn’t featured on South-East Tonight,’ or, ‘I hear you’ve been nominated for the Booker Prize. Oh, you haven’t? Well, that’s disappointing.’ What can you say to this? First of all, don’t get annoyed or let their misconceptions about the publishing industry diminish your own sense of pride in your achievement. You know how hard you worked to get a book in print. Instead, you have a good laugh, then do the walk, drink or film thing…and then you get on and write that second book. Who knows, perhaps, this time, the helicopter awaits? SD Sykes writes historical crime thrillers. 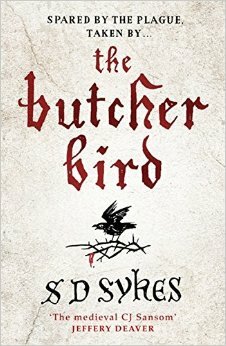 Her second book The Butcher Bird is published by Hodder & Stoughton on October 22nd.